This newest take embraces some of the style’s neglected core characteristics. Over the past couple of decades, the India pale ale, or IPA, has emerged as the de facto signature beer of the American craft beer revolution. Nearly every brewery makes one, and as often is the case with such a ubiquitous offering, variations on the style have become the norm: In no particular order and certainly omitting plenty, we’ve seen imperial IPAs and session IPAs, white IPAs and black IPAs, West Coast IPAs and, the most recent explosion, New England IPAs. Now, we’ve seen a new trendy take on the IPA, the brut IPA… but interestingly enough, in many ways, this latest variation helps bring the IPA back to its roots—which is a more tantalizing prospect than it might sound. Let’s start at the beginning: What is an IPA? It’s actually a question that has gotten more complicated over the years. At its heart, as the name somewhat implies, a traditional IPA is a pale ale brewed with extra hops to elevate the overall hop character. That definition holds relatively true today, but is far from always accurate. Take the oxymoronically named “black India pale ale,” which isn’t pale at all. In this case, the IPA indication is simply one of a stronger hop character. But what is the hop character of an IPA? Even that has changed. West Coast IPAs were an arms race of bitterness, often focused around piney and pithy flavors that pounded your palate from start to never-ending finish. To balance out all of that bitterness, West Coast IPAs often upped their malt bills, resulting in beers that were, even to the naked eye, not always so pale. More recently, New England IPAs have instead focused on tropical and other fruity notes. 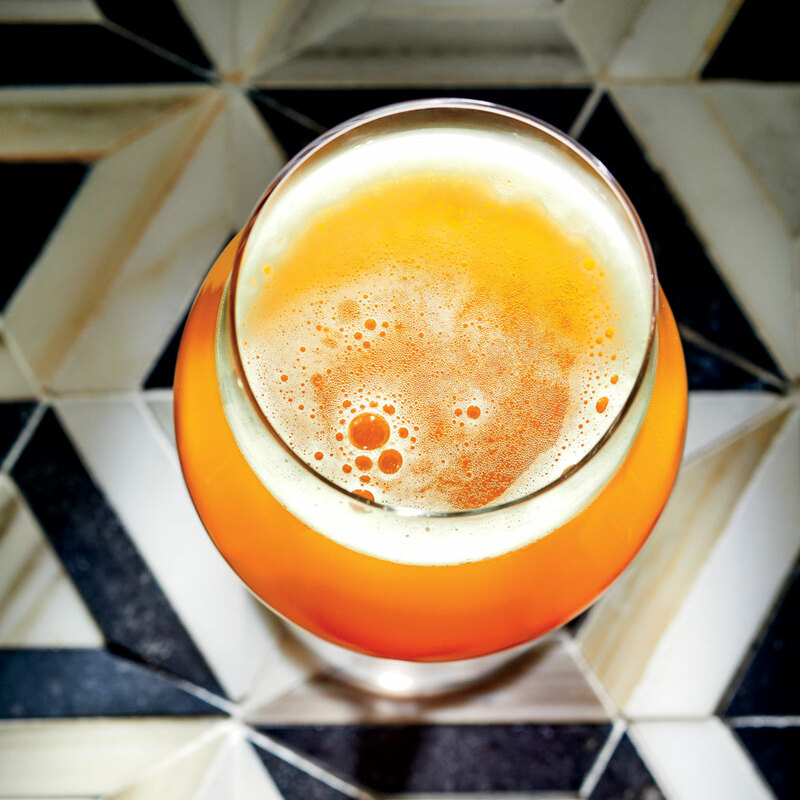 To push this juiciness to dizzying heights, brewers started adding additional ingredients to buoy this perceived sweetness, leaving flavors that significantly deviate from a pale ales traditional dryness. 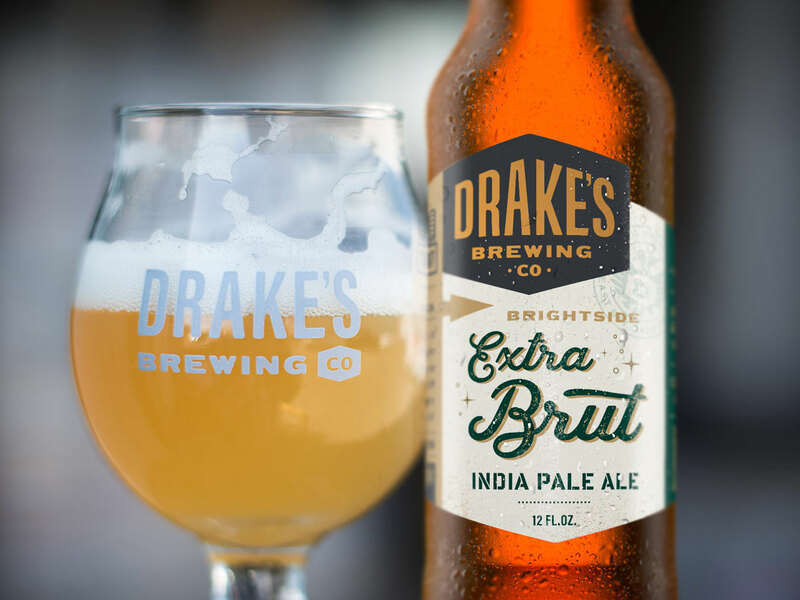 As its Champagne-inspired name attests to, the brut IPA brings dryness and paleness back to the forefront of the IPA experience. Courtesy of Drake's Brewing Co. Though the style has quickly spread across the country and even around the world, the origins are credited to Kim Sturdavant, brewmaster at California’s Social Kitchen and Brewery. The simplest explanation of the style is that Sturdavant brewed an IPA with the addition of an enzyme known as amylase glucosidase, which is able to further break down sugars to create a drier beer. “I’d been wanting to make a standard-strength IPA with [the enzyme] to just be as dry as possible, and that evolved into thinking, ‘Wouldn’t it be cool to make it as light in color as possible and keep the bitterness low and make this super refreshing, pale, effervescent beer?” he told The Takeout. He offered a similar explanation to Vinepair. “Pale, sparkling, refreshing, and bursting with hops, sounds good, right?” Sturdavant told the site. Ironically enough, it doesn’t just sound good (minus the “sparkling” part, depending on who you're asking); it sounds like what an IPA really should be at heart. In British brewing parlance, which is where the term IPA comes from, pale ales stand in contrast to two other styles: bitters and golden ales. In simple terms, bitters tend to be about as bitter as pale ales, but are darker; meanwhile, golden ales tend to be as pale as pales ales, but feature more malt sweetness. Many IPA variants have deviated away from this central idea of a pale ale, but with the brut IPA, pale and dry come home to roost. Admittedly, in other ways, brut IPAs are as far from traditional as possible. Following along with the Champagne theme, brut IPAs do tend to be more sparkling. Meanwhile, the flavors – which are meant to feature fruit notes over pure bitterness – definitely skew towards the modern juicy, New England-style IPA trend. Furthermore, Sturdavant told The Mercury News that, beyond the usual barley, he also uses plenty of rice and corn to make his brut IPA as light as possible, both in color and on the palate. Using adjuncts like these, the kinds of grains we’re used to finding in Budweiser and Coors Light, might made a traditional IPA brewer’s head spin. Still, with all the innovation and variety we’ve seen in the IPA over the years, it’s interesting to think that going as dry and pale as possible hasn’t really been at the forefront before. Maybe that explains why rumors of the brut IPA have spread so quickly. New England IPAs broke through because they gave our palates a rest from intense bitterness. Now, Brut IPAs are finally a chance to give our palates a rest from a malt intensity many drinkers probably didn’t even spend much time contemplating before. Since they're still a still-developing style, of course, breweries are still tinkering away, making it difficult to actually find the beer that so many people are talking about. For those looking to head to the source, Social Kitchen and Brewery in San Francisco now calls their brut IPA “Puttin’ on the Spritz." 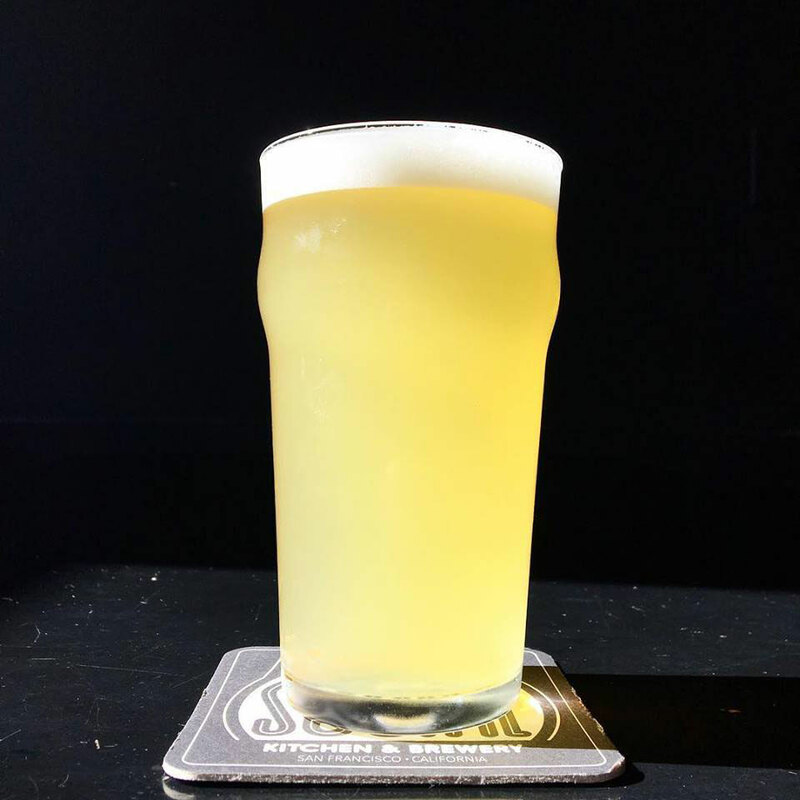 Meanwhile, not far away in San Leandro, hop-driven brewing stalwart Drake’s has been continually churning out all sorts of experimental brut IPAs in its taproom. On the other side of the country, apparently even Sam Adams has tried its hand at the style to serve at the brewery. Distribution right now is on the local scale, so do a little research on your local breweries to find out who else is getting in on the game.